January 6, 2015 — New York, NY … UN Secretary-General Ban Ki-moon stated this evening that the state of Palestine will join the International Criminal Court on April 1. This action will enable the Palestinians to pursue war-crimes charges against Israel. 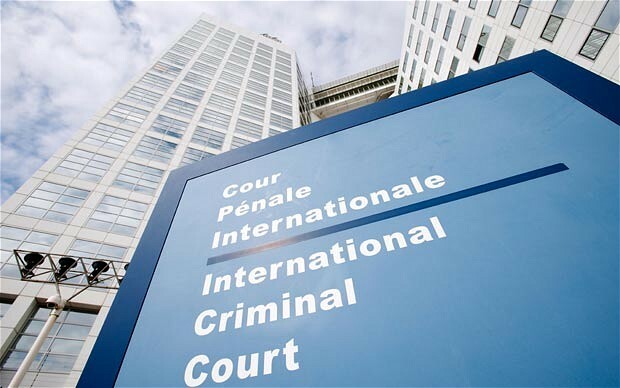 As Israel is not a member of the International Criminal Court, it is not required to participate in any investigations by the ICC. The Israel Defense Forces are conducting their own internal investigations of wrong doing and this may very well suffice for the ICC. The Palestinian Authority which is in a unity government with the internationally recognized Hamas terror group, submitted the documents ratifying the Rome Statute that established the court last Friday, the last formal step to becoming a member of the world’s permanent war crimes tribunal. In a statement posted on the U.N.’s treaty website Tuesday night, the secretary-general said “the statute will enter into force for the State of Palestine on April 1, 2015.” Ban Ki-moon said he was acting as the “depositary” for the documents of ratification. Prime Minister Netanyahu said that Israel would not sit with “folded arms” as the Palestinians continue to challenge Israel diplomatically. The PA lost a bid last week to gain UN membership, being rejected by the UN Security Council. Even if the PA received the necessary nine votes for approval, the US made clear that it would have vetoed the measure. In response to the Palestinian effort to join the International Criminal Court, Israel froze the transfer of some NIS 500 million in tax payments that was to be paid to the Palestinian Authority at the beginning of the month. This was one of the decisions that came out of an urgent interministerial meeting Netanyahu convened on Thursday. Other steps are expected in the coming days. Netanyahu, in his first response to the Palestinian application to the ICC, said at the outset of Sunday’s cabinet meeting that the Palestinians had opted for a path of confrontation and Israel could not be expected to sit idly by. “We will not allow IDF soldiers and commanders to be hauled before the International Criminal Court in the Hague,” he said. “It is the Palestinian Authority leaders – who have allied with the war criminals of Hamas – who must be called to account. The soldiers of the IDF will continue to defend the State of Israel with strength and determination. The Israeli government is now preparing to document and address every act of terrorism taken by the Palestinians. This includes acts against humanity with the bombings of buses, restaurants, hotels, schools, 11,000 missiles fired at Israeli cities and towns from Gaza and the building of terror tunnels into Israel from Gaza. NGO Shurat HaDin (Israel Law Center) has filed three more war crimes suit against Palestine Liberation Organization (PLO) officials in the International Criminal Court (ICC) in the Hague. The Israel Law Center says that while the Palestinian leadership can be indicted for terror acts carried out from 2002 onward, Israel can only be indicted for deeds done from the day the PLO joined the Rome Statute – the request to join was signed last week. The three new complaints, against PLO leaders Jibril Rajoub, Majid Faraj and Rami Hamdallah, follow the Israeli NGO’s previous ground-breaking ICC complaints against Hamas leader Khaled Mashaal (filed in September) and against PLO and Palestinian Authority (PA) Chairman Mahmoud Abbas (filed in November) for war crimes and human rights violations. In the US, Jury selection started today in the first-ever terrorism-related trial against the Palestinian Authority, a case which could carry a billion-dollar penalty. Opening statements are set for next Tuesday with the US Supreme Court rejecting an interim-appeal by the PA asking it to intervene and block the trial late Tuesday. A social media campaign to illustrate Palestinian terror against Israel, Jews and Christians has been launched on Facebook. One can simply click into PalestinianWarCrimes.com to enter this campaign to support the soldiers of Israel Defense Forces.